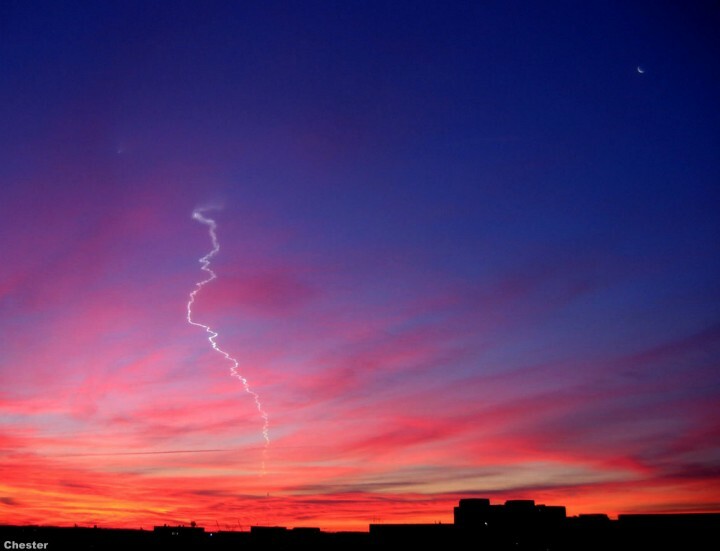 Explanation: Last Saturday, some colorful dawn skies along the US east coast featured the Moon and a Minotaur rocket climbing into low Earth orbit. The 7AM launch of the four stage Air Force Minotaur I rocket took place at NASA's Wallops Flight Facility on Virginia's eastern shore. Looking east, the rocket is visible beyond the top of the twisting exhaust plume in this wide angle view, with the waning crescent Moon at the upper right. 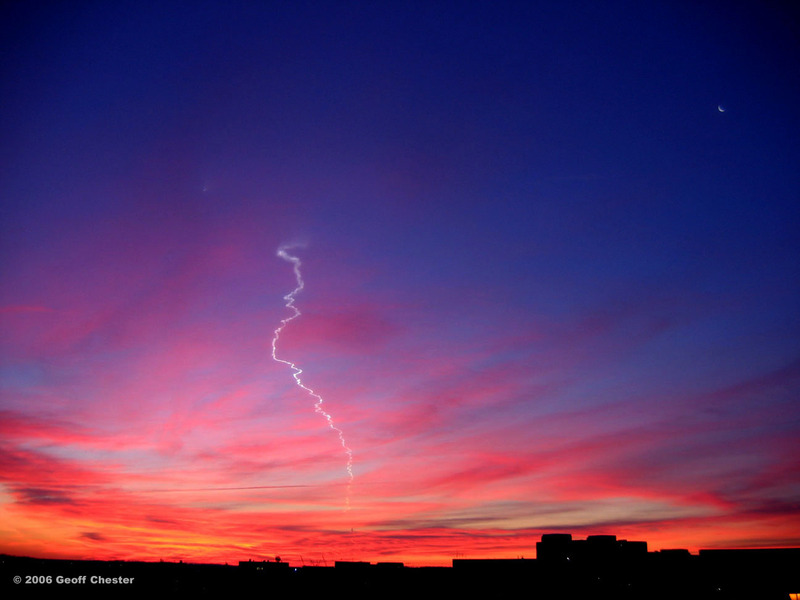 The snapshot was taken from Alexandria, Virginia, some 100 miles northwest of Wallops Island. Orbital launches from Wallops have so far been relatively rare, the last two taking place in 1995 and 1985. As a result, many early morning risers reported the unusual spectacle. The rocket's payload was the Air Force Research Laboratory's TacSat-2 satellite and NASA's GeneSat-1 microsatellite.